On Stage at Spirit raffling off the finished painting at the end of the night. As a part of the Our Rhythm fundraising event, I contributed my artistic talents to create live art while musicians of the project performed on stage. It was a lot of fun being a part of such acollaborative and creative production. Good people doing good things. The painting went to a woman from Cincinnati who had driven to Pittsburgh that day. 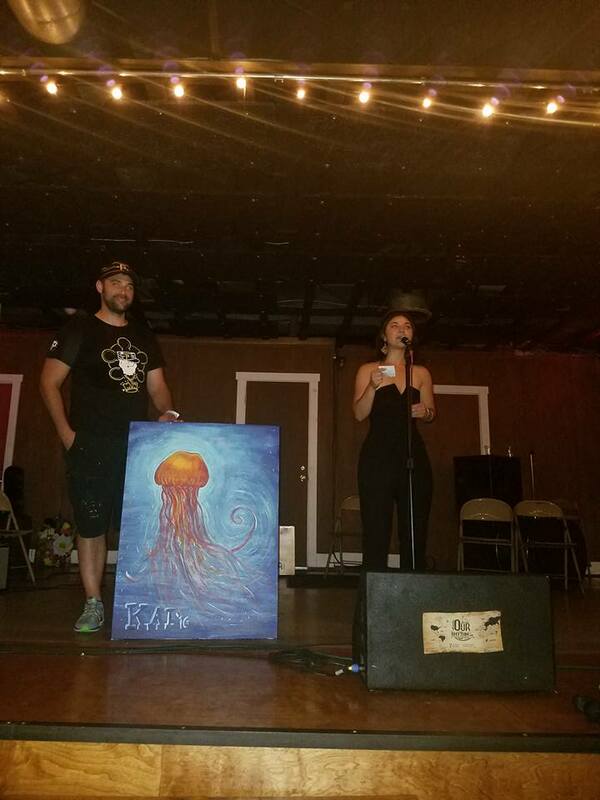 She was excited to receive her own jellyfish painting to take back to Ohio with her.